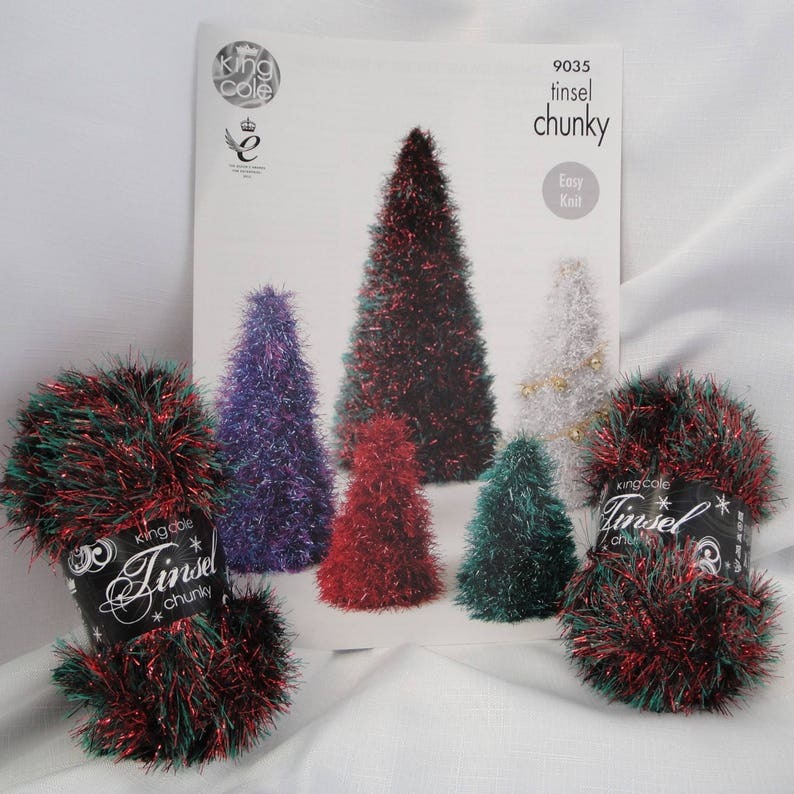 A fun chunky eyelash yarn looks like tinsel but feels softer! Add a festive sparkle, with this fun glittery yarn. This listing is for 2 x 50g balls, plus King Cole Pattern 9035.
or large Christmas Tree and Tinsel Baubles or Snowballs. 1 ball should knit one large tree or 1 small and 1 medium tree. King Cole Tinsel Chunky Yarn!